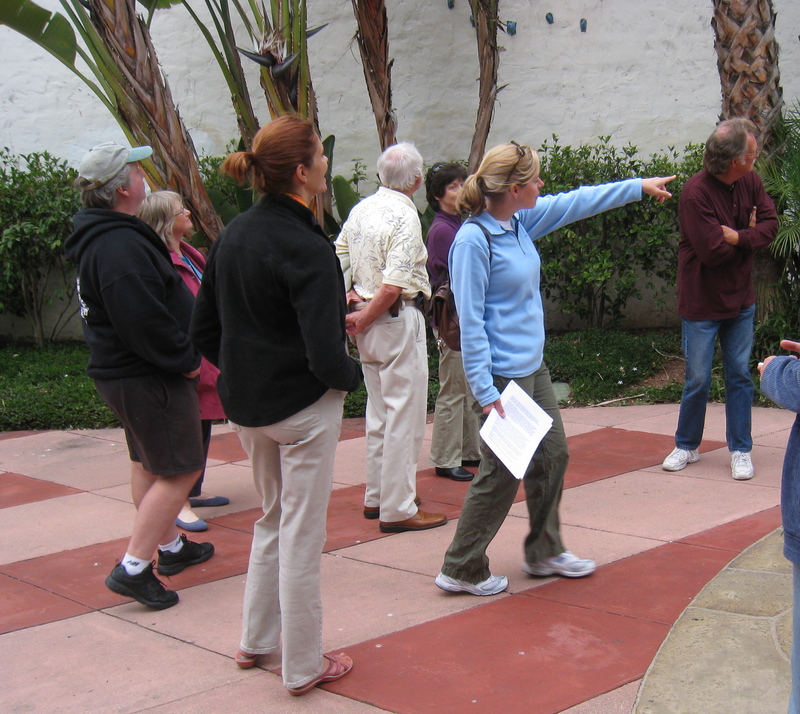 NEXT WALK: June 22 – Join us in the Spring 2011 for Walking Wednesdays! 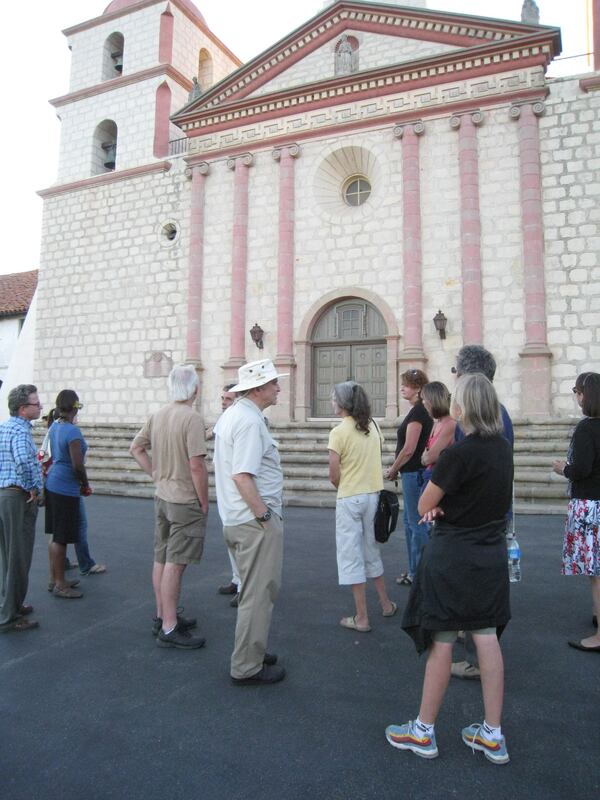 The walks are a leisurely hour and a half, each month featuring a different theme, location and guest leader. The benefits are varied: exercise, learning about and enjoying our community, and appreciating the slower pace that walking affords us. 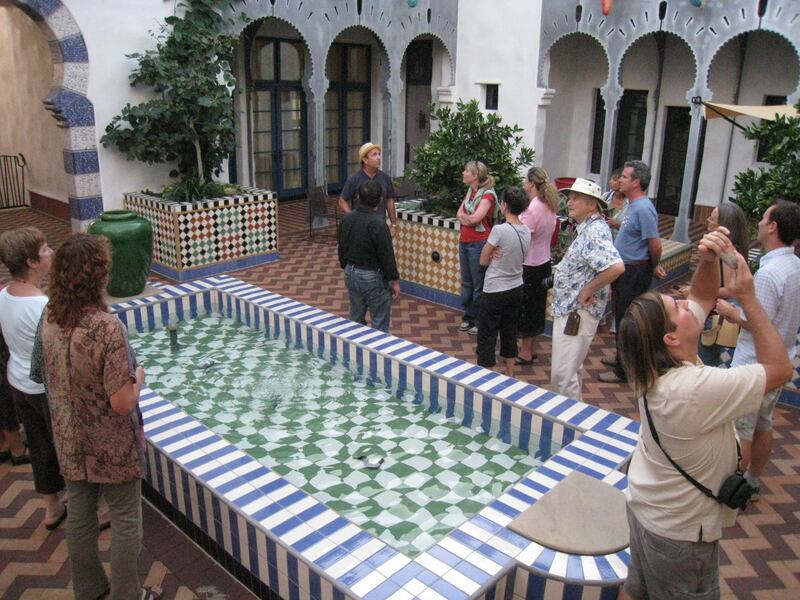 Jeff Shelton’s Architecture – featuring his whimsical creations to include Cota Street Studios, El Andaluz and the Ablitt’s Tower. Trees of the Santa Barbara Skyline – from the history of the Moreton Bay Fig at the Train Station to the difference between a fan palm and feather palm. Everyday Art – the stories behind the hidden and not so hidden public art that can be found throughout downtown Santa Barbara on prominent corners and in winding paseos. 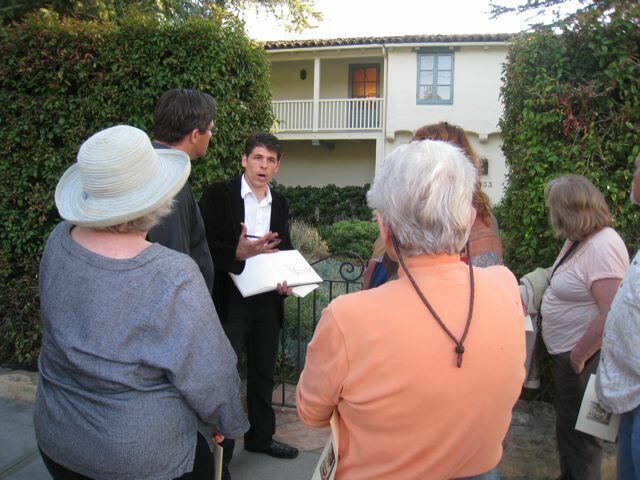 Architecture of the Eastside/Upper State Street Neighborhoods – from French Norman to Dutch Colonial to Spanish Revival, participants sharpen their architecture knowledge and learn details to look for when appreciating the various styles. Mission Creek: Floods to Fish – to better understand how an urban creek functions both for flood protection and fish passage of the endangered steelhead trout. What if the next phases of Caltrans’ Highway 101 widening involved the removal of most of the landscape between Hot Springs and Sheffield Drive? What if freeway lanes, sound walls and median dividers kept growing, but state and local funds for aesthetics and landscaping disappeared? What if our coastal highway became a LA-style concrete channel? Impossible? Don’t be so sure. Click here for more information and what you can do to get involved.